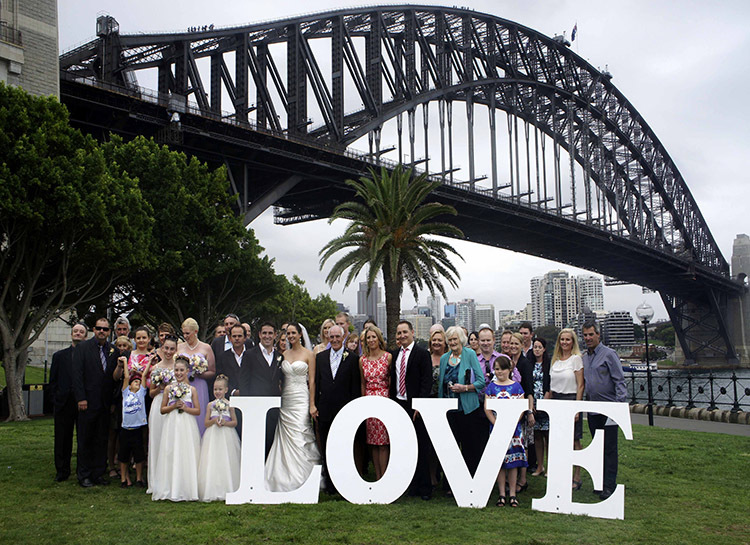 There are a number of different ways you can style your wedding with our love sign. It can create a backdrop or sit to the side but visible to all guests. You can also separate the letters and create an entrance with the LO on one side and VE on the other. A minimalist take on a garden wedding setting, Kae & Joseph chose to use our low lying floral aisle, signing table and Love sign for the amazing entrance as shown in the gorgeous photo by We Are Origami. The Love sign was used to great effect, showcasing Kae’s entrance, while the guests lined the wedding aisle behind the sign. Be sure to book your wedding package early to avoid disappointment as we book out fast during the peak season so send your ENQUIRE today to ensure we are available on the date you are considering. Please note that we do not offer our Love sign as a single item hire.